Aposematic coloration is abundant in tropical rainforests. 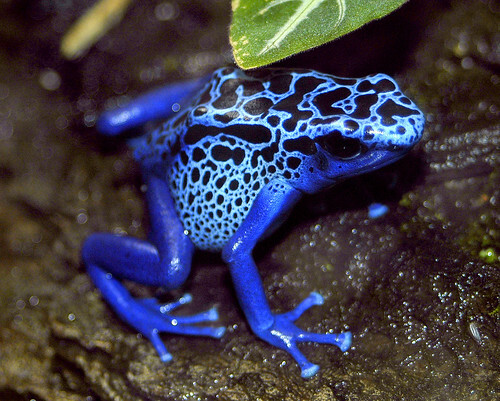 One of the most popular examples of this are many types of colorful poison dart frogs. Their brightly colored bodies warn predators of their toxicity. Many variations in color and design are observed in these frogs. Sloths use camouflage to protect themselves in the rainforest. Due to their extremely slow movement, algae grows on their fur, which has adapted to make sure algae can thrive. The green tint of their algae coated fur allows them to blend into leave and other plants in the canopy layer of the rainforest.